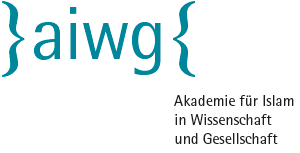 Interaction between academia and society is one of the AIWG’s main missions. The Academy therefore offers communication formats that build bridges between Islamic-Theological Studies at universities and Muslim civil society. They reinforce social engagement amongst Muslims in Germany and help to promote the factual basis of public debate on Islam. The AIWG’s mentoring programme MENTi aims to help junior researchers in Islamic-Theological Studies as well as involved individuals in Muslim civil society to continue developing their qualifications and potential and engage with society. MENTi seeks to reinforce social participation amongst people of Muslim belief, cultivate public debate on Islam and contribute to a natural attitude to dealing with religious plurality in German society. MENTi is a member of the Verband Forum Mentoring e. V.
Mentoring is a tool designed to promote junior researchers which involves an experienced person (the mentor) passing on experience to a less experienced person (the mentee). The aim is to enhance experience on both sides. Mentees are able to develop their own key skills, drive their professional careers and extend their personal networks. Mentors benefit from the interaction with junior researchers, can reflect on their own professional careers or their own leadership skills. Mentees in Islamic-Theological Studies could be Master’s students, doctoral candidates or postdocs in Islamic-Theological Studies or similar subjects in Germany, Austria or Switzerland. Postdocs should have completed their doctorates within the last two years. Mentees from Muslim civil society could be individuals who are actively involved in an initiative, club, association, religious community or other Muslim-related organisation in Germany, Austria or Switzerland or who engage with society outside of existing structures. A sound knowledge of German is required. The mentors are experienced individuals who work in civil society, research and universities, politics, administration, the media and culture. They usually have a professional or private connection with topics related to Islam, religion or integration, or are interested in sharing ideas on these topics with junior researchers on a long-term basis. The AIWG Roundtable is a platform for intensive, trusting interaction and for developing solutions to socially-relevant issues relating to Islam in Germany. At the one-day meetings, actors from Muslim civil society, including their religious communities, from Islamic-Theological Studies and from other areas are given the opportunity to discuss concrete issues and challenges of Muslim life in Germany with a view to finding solutions. The AIWG enables initiators to design the roundtable themselves by setting the agenda and defining who should be invited to attend. Applicants can state whether they would prefer to hold the one-day discussions in a small group (10 to 15 participants) or in a larger group (up to 30 participants). It is important that the topic is of relevance to society. How does the AIWG facilitate the roundtable? The AIWG bears the costs of the roundtable (participants’ travel expenses, conference rooms, moderation, catering). It supports the initiators in content planning. In agreement with the initiators, it takes on the organisation, invitations, quality assurance and financial execution of the discussions. To moderate the AIWG Roundtable a member of the AIWG Office or another suitable person can be engaged. If necessary, the AIWG will cover the costs of an external moderator. 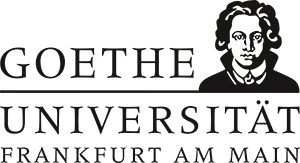 The AIWG can accommodate a small-group AIWG Roundtable on its premises at Goethe University Frankfurt. If appropriate reasons are given, applicants can also choose to hold the discussions in a different city. The following are eligible to apply: actors at institutions, associations or groups in Germany from the above-mentioned fields who work on topics revolving around Islam in German society. Click here to download the application form (Word document). Collaborative Projects allow actors in Muslim civil society and other societal fields of action to cooperate transregionally with researchers in Islamic-Theological Studies or other subjects.